Violent storm seas gusting to hurricane strength. Wind lashed waves in polar water. Beaufort Scale 10 gusting to 12. 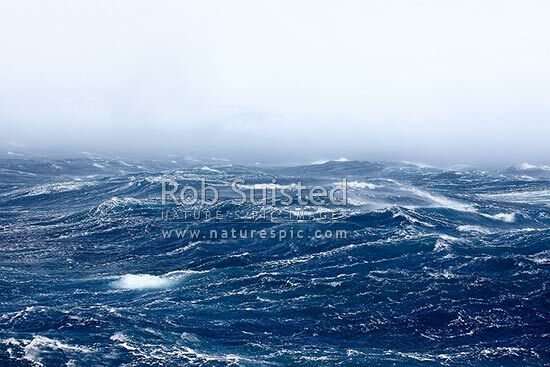 Extreme weather, Antarctic Sound, Antarctica Region, Antarctica, stock photo.